As Associate Vice President of Data Strategy at the National Basketball Association, Alexandra Nicola is responsible for growing and monetizing the League's global fan base, using the power of data. She also oversees the Marketing Technology road map and its implementation, ensuring that the investments are producing a positive return and an enhanced fan experience. Alex started her career in post-production, editing television commercials for advertising agencies. Upon graduating business school, she transitioned into marketing and CRM, spending almost 10 years at American Express. Prior to the NBA, Alex held data-driven marketing roles at Tiffany & Co. and Ralph Lauren. Alexandra resides on the Upper West Side of Manhattan with her husband and six year-old identical twin daughters. She is an avid traveler though more exotic locations are on-hold for now; her family recently enjoyed a trip to Yellowstone and Grand Teton National Parks which included plenty of hiking and wildlife sightings. Aruna Krishnamachari, Advancing Women Executives Accelerator Participant. Aruna is a leader with broad legal expertise working with e-commerce and other high-technology companies in Silicon Valley. She is a trusted advisor with a demonstrated record of building strong relationships across organizations, including with key business and product leaders. Aruna excels in fast-paced environments and juggles multiple complex matters with ease. She is committed to building best-in-class teams and business-focused legal processes. As Senior Director, Legal Americas, Aruna leads a team of four attorneys who partner with the Seller Experience product and business organization teams at eBay. As an in-house attorney at eBay, she is responsible for product counseling, including issues related to consumer protection, marketing, privacy and intellectual property; commercial agreements; and strategic business advice. She previously worked as a Senior Associate at Pillsbury, and Associate at Greenberg Traurig, LLP. 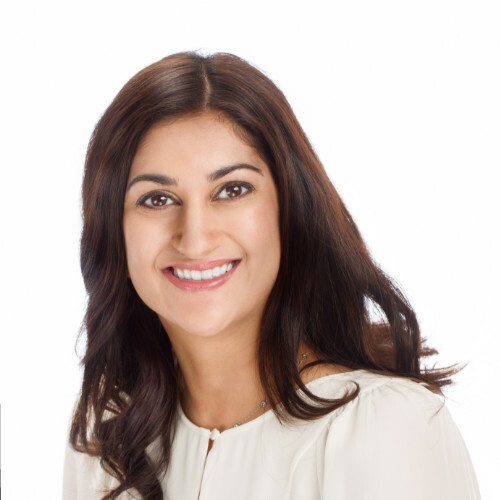 Aruna was designated as Super Lawyers Northern California Rising Star – Mergers and Acquisitions. She completed her JD at Vanderbilt Law School and her BA at the University of California, Berkeley with high distinction. Aruna is a proud mother of a 15-month old.